2004 Fryer VB-50 in Good Running Condition. 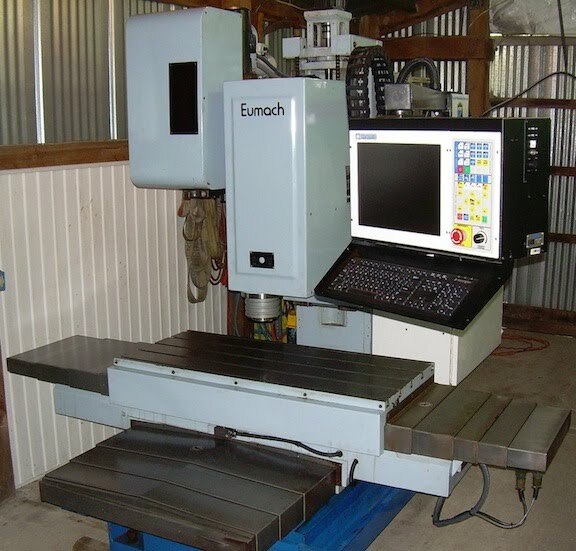 Comes with some tooling and a nice tool pre setter. Has a cooling unit that was installed just a few years ago. Videos available. TABLE SIZE 63" x 20"
X AXIS TRAVEL 50" Y AXIS 30"
SOLD "AS IS WHERE IS"
Call Jerry@503-998-0985 with any questions. TABLE SIZE 47.2" x 17.7"
SPINDLE NOSE TO TABLE TOP 2" - 26"
APPROX. 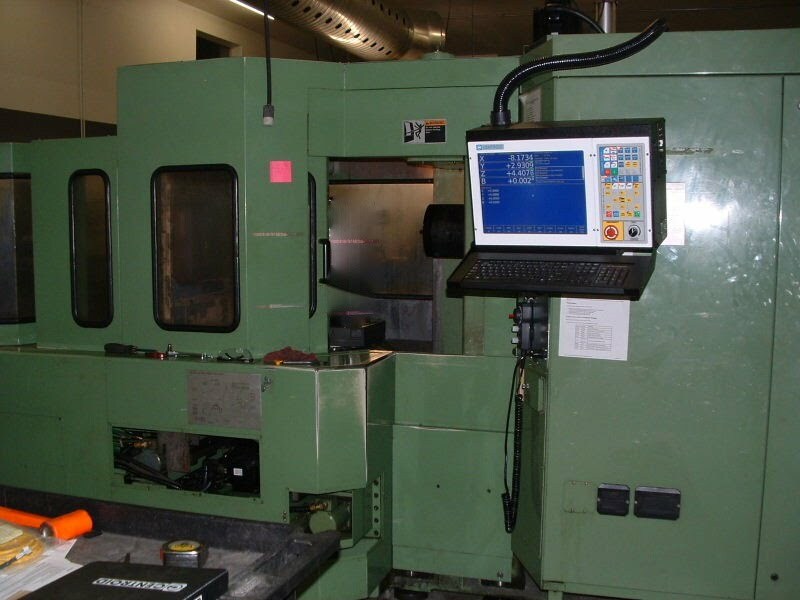 DIMENSIONS 128" x 102" x 118"
The machine has a 15HP AC spindle, 40-station tool changer, 360° B axis indexer, two-position rotary pallet changer, and chip auger/conveyer system. 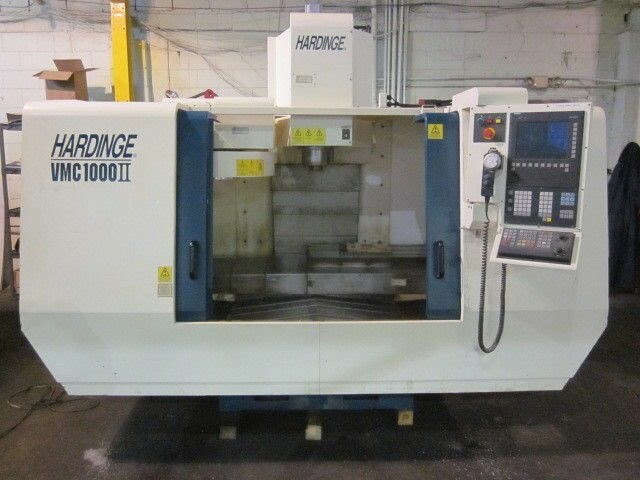 This is an INCREDIBLY CLEAN Hardinge VMC 1000-II . It features the Siemens 810 Controller. It looks to have been barely used to cut plastic and wood. The only evidence of cutting is wood dust and black abs plastic. The paint inside is flawless. This machine will be ran in and tested. 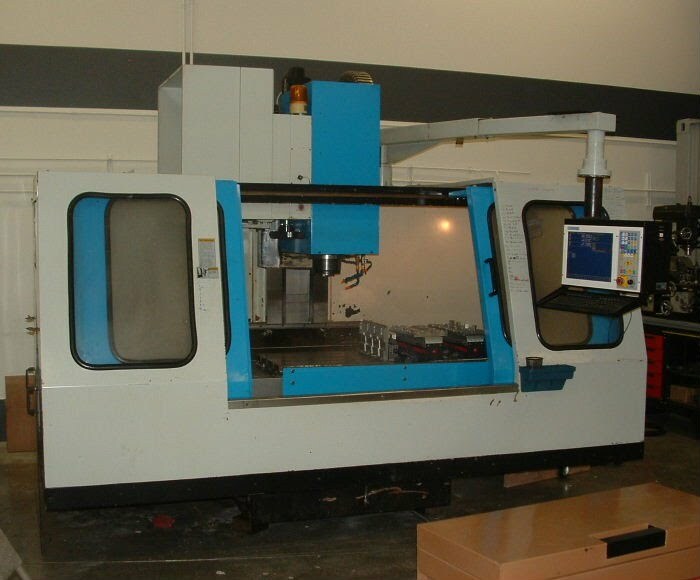 TABLE SIZE (2) 44" x 20"
SPINDLE NOSE TO TABLE TOP 6.1" - 26.1"
DIMENSIONS APPROXIMATELY 240" x 84" x 109"
This is a high quality used Bridgeport TC-1 Vertical Machining Center. We are currently in the process of adding a Centroid CNC Control to it. 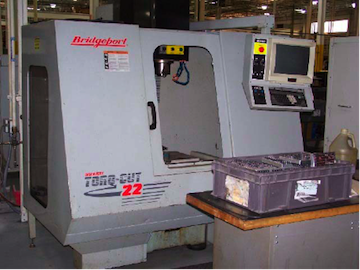 Table Size 33" x 16"
Spindle Nose to Table Top 4" - 23"
Dimensions 82" x 94" x 89"
This is a Bridgeport Torq Cut 22 Vertical Machining Center. TABLE SIZE...................... 32" X 16"
SPINDLE NOSE TO TABLE TOP....... 4.33" TO 24.33"